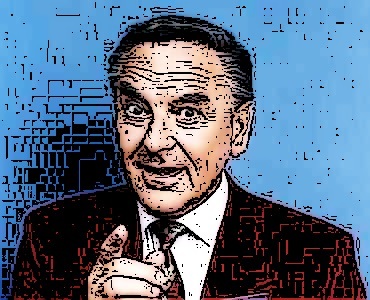 Thanks to amazing discoveries such as the Ed Doolan collection and the donation to the British Film Institute of the personal archive of the late, great Bob Monkhouse, 2008 was a bumper year for the recovery of missing TV and radio. Here is a list of recoveries compiled from information on forums Missing Episodes and the Doctor Who Restoration Team, BBC News and the Kaleidoscope website. 2.4.67 Englebert again and the Walker Brothers. The entertainer was among the first people to own a video recorder, but had accumulated reel-to-reel tapes and 16mm film well before VHS and Betamax were invented. British Film Institute asked to examine the material by Monkhouse’s family following his death in 2003. Alastair Sim (Speaking Personally) (BBC 1952) – The family of the late Alistair Sim approached the BFI with a 15-minute gem in which Sim, sitting increasingly uncomfortably in a wing-backed leather armchair, delivers a monologue to camera about the difficulties of delivering a monologue to camera. Sheila Kennedy was given a 2″ tape copy of the Midlands version by ABC the night she presented it. Johnnie Ray Sings – 2 x 1960 editions. Z Cars – rushes for film sequences for Who’s Your Friend…? tx 6-7.9.71. Found by an archivist among a collection of travelogues. This 1950s Granada precursor to Friday Night with Jonathan Ross was filmed in the then bohemian London neighbourhood of Chelsea. Among the finds are Billie Holiday singing Strange Fruit and John Osborne reading from one of his plays. The Mindy Carson Show – 18.5.58. In summer 2008 it was reported that Richard Jeffs had found 63 cannisters of film, one of which contained a “lost” Beatles interview from STV show Roundup(?) 1964, and another featuring unidentified footage of Cilla Black. The reels also contained approximately 30 admags. Only 2 tapes have been transferred so far, but each contains 8 hours of material. The tapes are consecutive and some cover just a couple of days, others cover a week. The recordings are off-air audio recordings of varying quality and will need remastering, but bring some interesting gems back to the BBC archive.